We all love them. We want them. We need them. And we want more and more of them. What are they? They’re T-shirts, silly! Sure, we have plain white tees. Or brightly colored ones. Maybe some crewneck ones or a V-neck one here and there. But what we really love are the fun graphic tees. 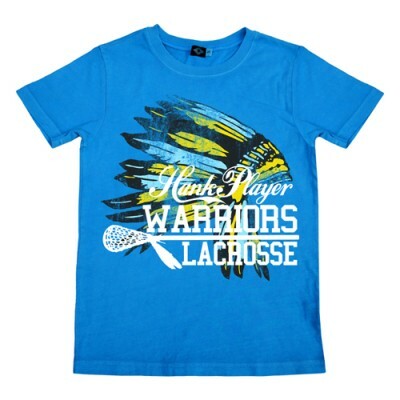 Hank Player USA makes a fantastically fun assortment of graphic tees for the whole family. Some have a vintage graphic feel, while others are thoroughly modern. I had a bit of a hard time deciding which one to choose. I thought about the Hear No Evil, See No Evil one, but couldn’t really see myself wearing it. 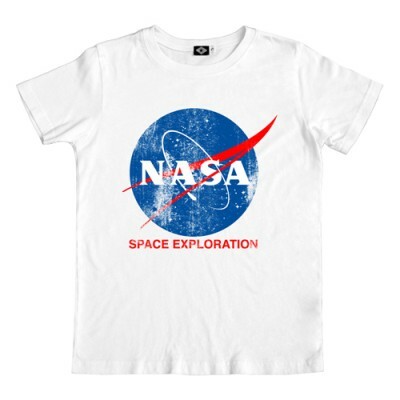 I also considered the NASA shirt, as I was (am?) a space geek from way back. They're officially licensed, btw. Oh! That Unicycle tee is pretty dang cool. I finally made a decision, though. My favorite was the Lacrosse tee. I have a thing for the whole kind of preppy life, so a Lax tee, oh yeah! I’m totally there! One of the first things I noticed was the texture of the graphic. The base graphic was flat, but the secondary graphic had a slight texture to it. i kind of like the effect! It makes the shirt look like a lot like a vintage team tee. The Hank Player tee also had a nice soft, vintage feel to the shirt itself. I don’t know if they use shirts like American Apparel or Bella, but that’s sort of what it felt like to me. The Lacrosse tee was quite a bit darker than I thought it would be. It’s okay, but the design doesn’t show up as well as it could. Also, the sizing tends to run really small. I ordered an extra large, as I would normally wear a large tee, and this was really form-fitting. I didn’t see a size chart on the Hank Player site, either. The general consensus – cute, kitschy items that are good quality. Just be prepared to order at least a size up.